Chefs and food professionals have enormous buying power, and this power means that what they choose to buy for their businesses can help build demand for more sustainable meat, open new markets, and serve as a positive example for all eaters. Chefs Collaborative hosts Meat Matters industry workshops, field trips, butchery demonstrations and dining events to help educate and inspire fellow professionals and all eaters about sustainable meat options. 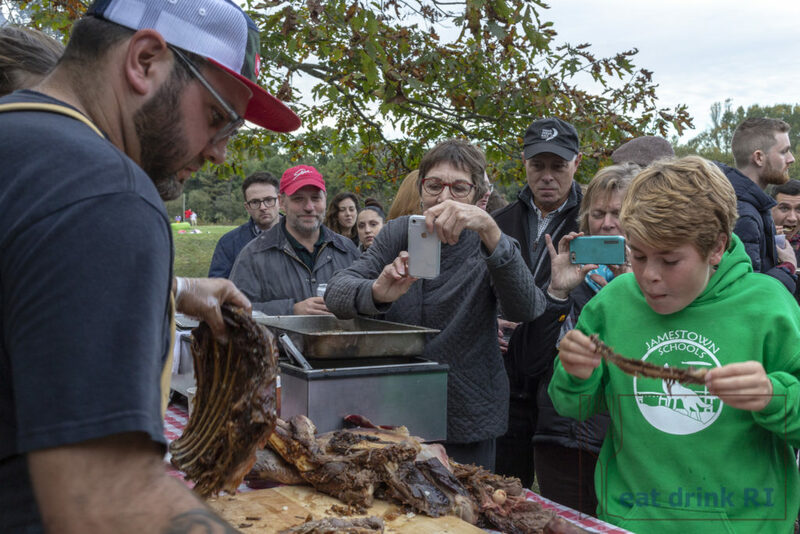 In October 2018, hundreds of Rhode Islanders came together to enjoy an evening of delicious food, drink and an inspired sense of community at the 9th Annual RI Harvest BBQ. Chefs Collaborative Local Leader chef Jake Rojas and Board Co-Chair chef Derek Wagner, the event hosts, bring together a stellar group of chefs and mixologists each year who prioritize sustainability and are working to build a better food system. 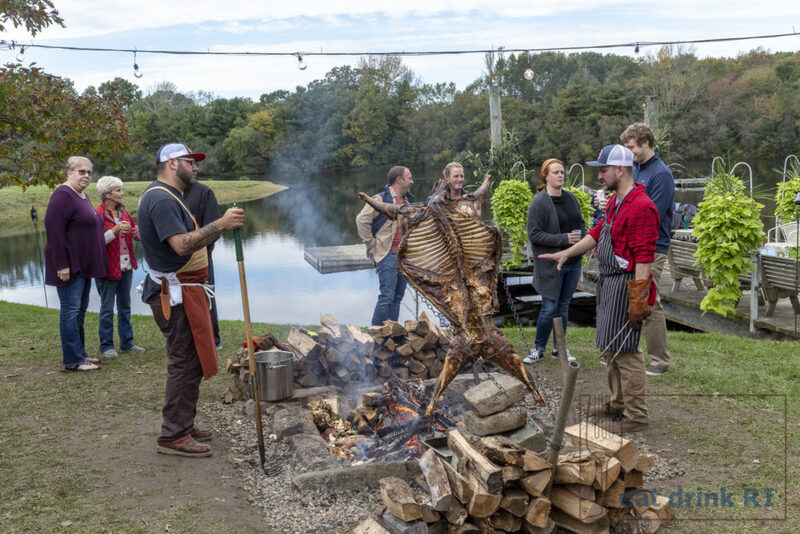 Vermont Chevon, a Chefs Collaborative Business Member, was a gracious sponsor for the 2018 event, donating a whole goat. Their goal is to encourage the consumption of goat meat, a product that could greatly benefit our environment (source: Goat Meat Could Save Our Food System, But We’re Too Afraid To Eat It, Huffpost). Click here to join Chefs Collaborative today! care about sourcing, cooking, and serving better food!